How SPM Enhances Resorts’ Online Reviews to Influence Future Travelers. Think about how you plan a vacation. Studies back up this travel planning cycle and how the internet plays a key role in all of these stages: from dreaming, to research, to booking, and finally sharing the experience. 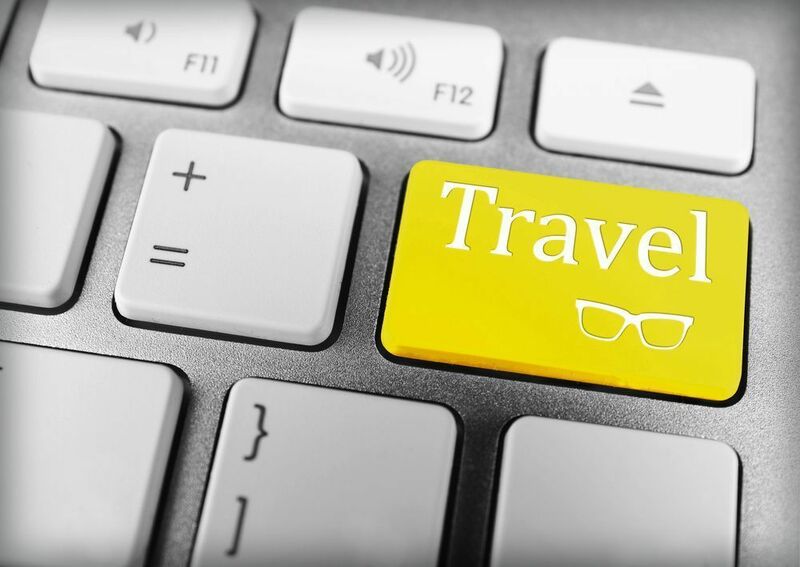 Influencing the online travel review stage is increasingly important in the accommodations booking process. Here’s the thing: it’s not just about that one customer. It’s about influencing all of the travelers in the research phase of their planning process. Today’s purchase process is not a funnel, it’s a loop. Step 1: Today’s time-starved consumers begin their purchase journey with a smaller initial consideration set. While you do want to be in the initial consideration set when a vacationer begins planning, all is not lost if you aren’t. 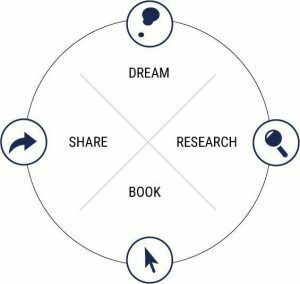 Step 2: The next step, the active evaluation phase, takes place largely online, where consumers begin to conduct research on where to stay. Search, social, online travel agencies and online reviews can all help you sneak into the consideration set. Step 3: Travelers then choose a hotel and book their stay. But at the point of purchase, your hotel marketing journey has just begun. Step 4: Now, consumers share their opinions about their stay with their own social networks during and after their trip. You need to look at whether you’re facilitating the sharing of these positive experiences. Tip: Include links in your post-stay follow up emails that guests can use to review your hotel on TripAdvisor. Why? 49 percent of our survey respondents said they read reviews on TripAdvisor before they book a room. Step 5: After the experience is over, smart hotel marketing strategy is all about maintaining the connection to ensure the post experience evaluation is positive and that you maximize your chance to turn your vacationer into a repeat customer. Two of the five steps focus on the importance of reviews. The majority of travelers rely on friends and families both in person (56%) and online (32%) for vacation recommendations, in addition to doing their own online research, it’s smart to focus on guest satisfaction, encourage social sharing, and promote leaving an online review. This gets the customer engaged with the resort to either book again or refer a friend to the resort. TripAdvisor alone reaches 350 million visitors a month. SPM negotiated a special rate with ReviewTrackers to offer to resorts in our vacation rental program, allowing resort staff to monitor, track and manage their online reviews. Not only is this a helpful tool for resort staff to be able to manage all reviews in one place to track trends, it gives the marketing department the ability to promote the resorts. Here’s how we are making a positive impact for the resorts in our vacation rental program: we send out emails to the resort’s guest history with a simple request to rate their stay. If they had a less than fantastic experience at the resort, they are invited to leave feedback with their contact information so resort staff can resolve the issue. If they loved their stay, they are encouraged to leave a positive online review. From a customer service perspective, by inviting feedback and collecting the negative comments in this system, our resorts are able to reach out to the customer and resolve the issues directly. The guest may never have reached out to the resort with the issue, or may have written an online review and the resort would not have their contact information to resolve the issue. This allows resort staff to enhance the customer service they provide. Note: SPM also manages a comment card system for all resorts, which gathers feedback for the purpose of making resort improvements. In contrast, this email campaign is specifically designed to boost positive online reviews to promote the resort for vacation rentals. For the customers that had a positive experience, we are encouraging them to share their experience online for other travelers to read. We’ve seen tremendous results from this email campaign: 261 responses with an average rating 4.6 out of 5 from our January guests. One resort’s overall ratings jumped from 3.8/5 (January) to 4.1/5 (February) due to the response of guests from the email – including two 5-star TripAdvisor reviews. The number of reviews doubled for this resort with the new program: in 2015, the resort received 43 reviews compared to 94 reviews in 2016. That high rating is certainly a testament to the amazing customer service our resort staff provides to guests. Of those visitors that did leave negative comments, resort staff has been able to take care of guests’ issues after their stay. In addition, those guests receive future promotions and travel tips from SPMvacations.com, our travel website for vacation planning, to visit the resort again or discover a new property and start the planning process all over again.